The attached picture, is -Islams- most sacred place, in -Mecca-, -Saudi-Arabia-. Where “their” most sacred relic sits, and it appears that most of the citizens of the United States, do not know of its (symbolic) use, right here in the U.S.A. …How do we know this? Because, it is a symbol that is hidden in plain sight in one of the busiest places in our country. It is “unknowingly” viewed, (by U.S. citizens) at a “memorial” that is visited every day, by citizens from all around the nation and by people from all around the world. It is seen at the memorial, at -ground-zero-. At the place of the “supposed” memorial to the victims of -9-11-. We say “supposed” because, We the People of the United States, have been deceived by the designers and builders of this “so-called” memorial! U.S. taxpayer money was used to build this “memorial” that is really a monument to -islam-, and an INSULT to us (U.S.) all. The “flame” colored lights that “adorn” the memorial, stand for “eternal fire.” But they are not meant to warm the hearts of U.S. citizens. They are meant to pierce the hearts of Americans. At a place that is supposed to “comfort” citizens who lost loved ones on 9-11-2001. We find at the very center of the “fountain”, instead, a symbol that represents the heart of the “-islamic-terrorists-” who caused the deaths of those loved ones. 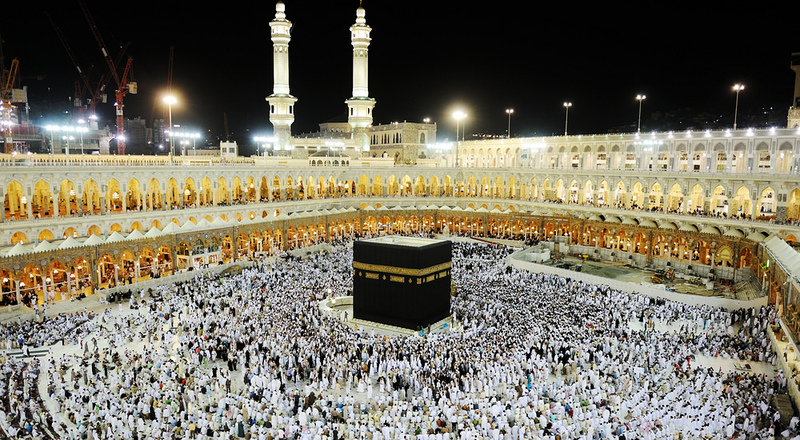 The black hole, in the shape of “the cube”, in the center of the fountain, represents the “-kaaba-” (-kabba-) of -islam- and “We the People” of the United States, should be furious at the insult it throws in our faces! We the People, need to sue the designers and builders of this pathetic visual. As I am sure I am not the only one to think, at first glance, “What the ….?”. And along with them, We also need to sue the ones who are responsible for supplying our U.S. taxpayer money to these pathetic designers and builders, who have spat in our collective faces. Our enemies laugh at us (U.S.) every time they see it. The 9-11 memorial is not what “they” presented it to be, share this, so that people know the truth, that we have ALL been lie to.